Rocket Film Canisters, Chemistry: Educational Innovations, Inc. These canisters are perfect for building your Alka-Seltzer rockets! The tight fitting lid allows the pressure to increase enough for the rocket to fly several feet into the air. Great activity for changing the variables; amount of tablet, amount of water, with or without a nose cone, with or without fins, the way the paper rocket is rolled, etc. 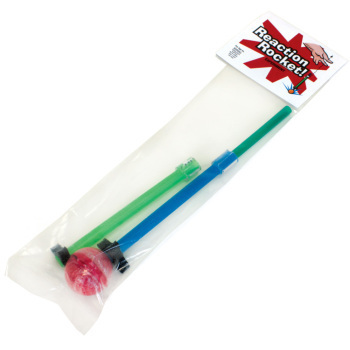 Online lessons include complete instructions for building film canister rockets. Also great for geocaching! Download the pdf of this lesson! Download the rocket template! As others have stated, in this digital age Fugi(R) film canisters are becoming more difficult to find. I used to be able to go to Target(R) where they let me go through their collection. But, alas, no more. E. I. has made it easy to obtain the canisters and offer them at a low price. My main use for them is to add a small piece of dry ice to the canister, replace the lid, and as the pressure builds due to the subliming dry ice, it eventually is enough to "blow" the lid off. The kids, or at least most kids, love holding the canisters in their hand until they pop. I provide kid's winter gloves to hold the canister and safety glasses/goggles, and instruct them to hold it straight up at arm's length. I have not tried using Alka-seltzer(R) or baking soda and vinegar, but I am certain they will also work. I like the dry ice because it is less messy and the kids can repeat the experiment frequently in very little time. In large crowds, where everyone is close up, I have a "cage" made out of plexiglass to but the canisters with dry ice into. One problem I have had with the canisters is when there is a small leak between the lid and the canister. The pressure does not build up so the popping off of the lid does not occur. The other problem is the loss of lids. Over time I have had lids pop off and come down somewhere but I was unable to find them, so now I have lots of lidless canisters. One way I have tried to lose less lids is to turn the entire apparatus upside down and set it on the table. The main body of the canister goes flying but the lid remains close by. I tried a Pringles(R) can but the lid is too loose. WARNING: Do not attempt this activity with a sealed bottle, one that has a twist cap on it. The pressure becomes really, really high and when the bottle does blow up, the sound is sufficient to damage one's ears and the exploding bottle itself can be destructive. The police have asked that you do not show this to your students or audience, even if you have them far away and wearing proper safety equipment, because of the possible dangers/damages that may happen when the kids attempt to do this on their own. I have used these for many experiments from dry ice to alka seltzer. I ordered the canisters with grant funds to make rockets for our STEM day. I looked around and this was the most convenient way to get the large number we needed. They arrived quickly and in excellent condition. I should have read the description better, but I thought this would come with something to make the canisters look like rockets. Rather, it was only film canisters. Not sure why it's titled "rockets"
Performed as expected. Children's creativity and problem solving skills soared. in the age of digital photography it has become harder and harder to find film canisters that seal well but not too well and can be closed with minimal motion (quick closing). These work well with with standard acid-base reactions as well as dry ice. We used them with dry ice to enhance our volcano explosion. The canister hit the ceiling and bounced off several objects before landing. The canister was fine after multiple runs. That they are clear helped conceal them in our volcano - a bonus plus. Wish they were still free at Costco. But good quality, no failures, seals well. Are you kidding? Antacid rockets are great fun and full of great science, too, so it's *very* nice to still be able to get what is now considered an "old-fashioned" item: film canisters! 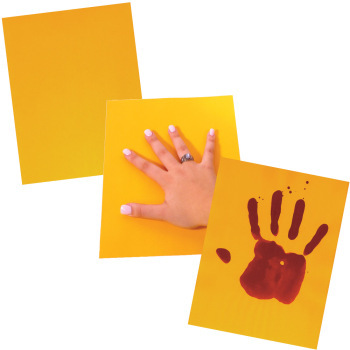 Just add antacid tablets for a fun birthday party activity for elementary age kids. Excellent product! I will order more soon. Great film canisters that pop really high and are very reliable. Lid fits tightly and internally which makes for great rocket launches. Much better than a similar from another supplier. I will buy these again! These film canisters are a big hit at our house. The kids are homeschooled and all of them love the excitement of making a rocket and launching it. Our daughter won a $15 prize in a competition using these canisters to build her rocket. Lots of fun and learning for a low price! The Rocket Film Canister can be loaded with baking soda and vinegar or Alka-Seltzer tablets and water to investigate movement. Students can analyze data to determine if a design solution works as intended to change the speed or direction of an object with a push or a pull. The Rocket Film Canisters can be loaded with baking soda and vinegar or Alka-Seltzer tablets and water to investigate movement. Students can analyze data obtained from testing different materials to determine which materials have the properties that are best suited for an intended purpose. The Rocket Film Canister can be loaded with baking soda and vinegar or Alka-Seltzer tablets and water to investigate motion. Students can make observation and/or measurements of an object's motion to provide evidence that a pattern can be used to predict future motion. The Rocket Film Canister can be loaded with baking soda and vinegar or Alka-Seltzer tablets and water to investigate movement. Students can plan an investigation to provide evidence that the change in an object's motion depends on the sum of the forces on the object and the mass of the object. The Rocket Film Canister can be filled with water and a piece of aquatic plant and placed in the direct sunlight. Students can construct a scientific explanation based on evidence for the role of photosynthesis in the cycling of matter and flow of energy into and out of organisms. The Rocket Film Canister can be loaded with baking soda and vinegar or Alka-Seltzer tablets and water to develop a model to illustrate that the release or absorption of energy from a chemical reaction system depends on the changes in total bond energy. 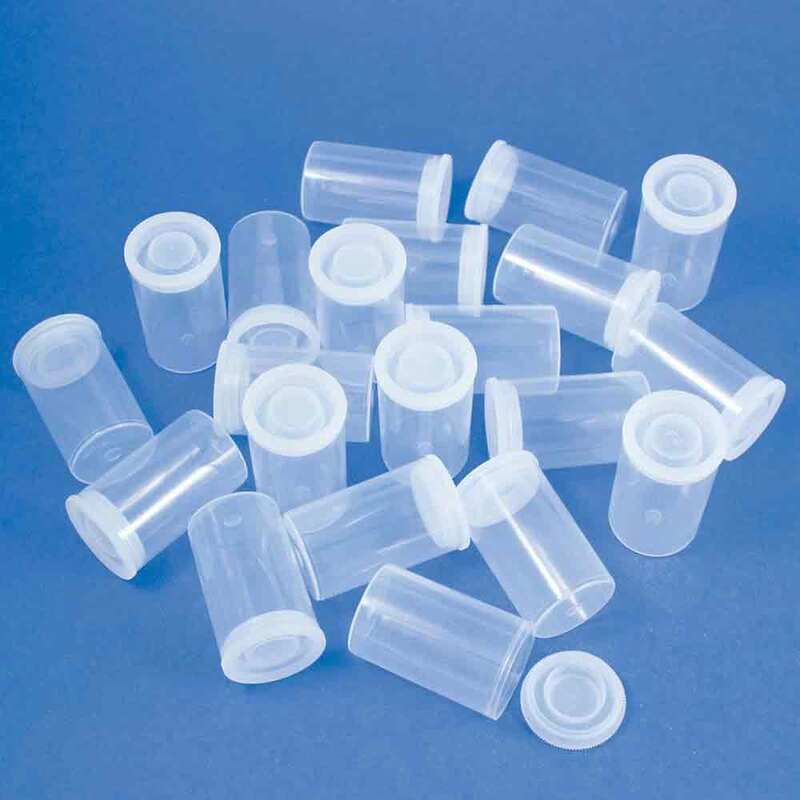 The Rocket Film Canisters are translucent and have a firm seal conducive to a number of classroom activities or storage of samples. When the film canisters are loaded with various reactive chemicals that produce a gas, students can run trials to determine which variable gives the best lift off or push of the canister. When the film canisters are loaded with various reactive chemicals that produce a gas, students can run trials to determine with variable gives the best lift off or movement of the canister. The Rocket Film Canister can be loaded with baking soda and vinegar or Alka-Seltzer tablets and water to investigate motion. 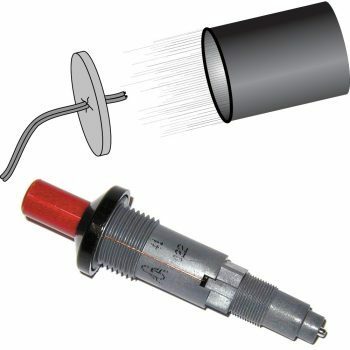 Students can plan an investigation with variables; make observation and/or measurements of the canister's motion to find pattern that can be used to predict future motion. 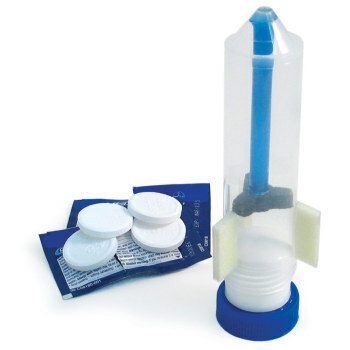 The Rocket Film Canister can be loaded with baking soda and vinegar or Alka-Seltzer tablets and water to create a simple rocket or to explore chemical reactions. The Rocket Film Canister can be loaded with baking soda and vinegar or Alka-Seltzer tablets and water to investigate movement. Students can plan an investigation with variables that test and provide evidence that the change in an object's motion is related to the sum of the forces on the object and the mass of the object. The Rocket Film Canister can be filled with water and a piece of aquatic plant, and placed in the direct sunlight. Students can observe the build-up of gas and growth of the plant.